Even Knowingly Taking A Placebo Seems To Help It's no surprise that placebos -- fake pills that contain no active ingredient -- often work to relieve symptoms. Doctors think placebos work because patients think they might be getting an active drug but there's an element of deception. But now Harvard researchers show that even when volunteers with severe bowel disease know they're getting a placebo, 59 percent had relief from symptoms. Call it an "honest placebo." It's no surprise that placebos — fake pills that contain no active ingredient — often work to relieve symptoms. Doctors think placebos work because patients think they might be getting an active drug but there's an element of deception. But now Harvard researchers show that even when volunteers with severe bowel disease know they're getting a placebo, 59 percent had relief from symptoms. Call it an "honest placebo." Study says it might be the ritual of taking placebos that makes them work like pills. Placebos don't shrink tumors or stop multiple sclerosis in its tracks, but there's tons of evidence that they can relieve pain and an array of other symptoms. But along came the "honest placebo" study. An intriguing Harvard study in the online journal PLoS ONE seems to up-end conventional wisdom about placebos. It strongly suggests placebos can work even if patients know they're taking a fake pill. "Fifty-nine percent of our patients who were taking the placebo reported adequate relief, compared to people on the no-treatment control – 35 percent," says study author Ted Kaptchuk of Beth Israel Deaconess Medical Center. "That's almost twice the…improvement!" The study subjects were 80 volunteers with long-standing irritable bowel syndrome or IBS, a nasty stress-related ailment involving abdominal bloating, cramps, and diarrhea alternating sometimes with constipation. Patients who knowingly took placebos improved on a range of IBS measures. In fact, their symptom relief was actually better than earlier studies showed for a potent IBS drug called alosetron. Linda Buonanno was one of the placebo study volunteers. She's had IBS for 16 years, and when the researchers told her she was getting fake pills, she didn't think they would do anything. "I said, 'How in the world is that going to work?'" Buonanno says. "But they said, 'Well, it's mind over matter.' I said, 'Well, alright, let's see how good my mind is.'" Buonanno apparently has a pretty good mind, placebo-wise. Her cramps, bloating and diarrhea disappeared after just three days of taking two placebos twice a day. Three weeks later, when she ran out of placebo, she asked for more – as many in the study did. But the study was over, and she couldn't get any more official placebos. "The symptoms came right back," Buonanno says. So she went to a health food store and bought some of her own placebos -- herbal supplement pills. "I stuck it in my head that this is really helping out the IBS, and I've gotten rid of, like, 70 percent of my (IBS) problems," she says. But how does it work? Researcher Kaptchuk thinks it's the ritual. 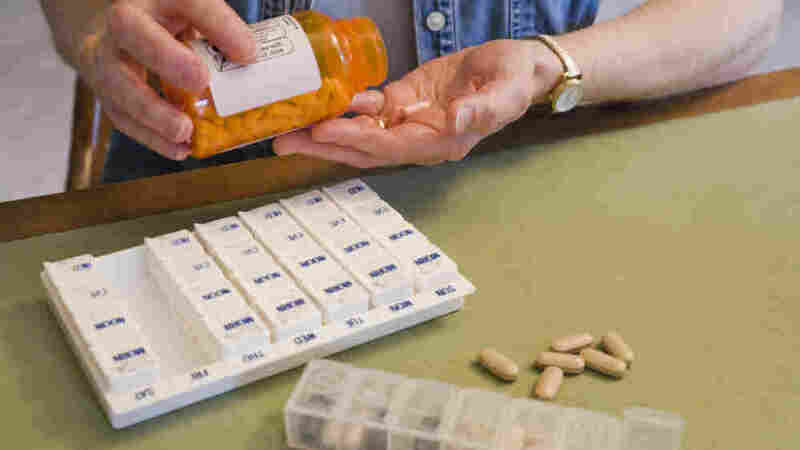 Dr. Anthony Lembo, a Beth Israel Deaconess gastroenterologist who participated in the study, says he told study subjects that the placebo "is something that will help you with your symptoms, there's a good chance of making you feel better." He also said it didn't matter if they believed in the placebo or not. He told patients: "You just need to take it regularly, and the drug will work over time if you give it a chance." Kaptchuk says the reason for asking people to take the placebo twice a day is part of the "self-healing ritual." "They're immersed in it," he says. "It's not something they're thinking about, it's something they're doing... This is the context in which the pill is administered." The study may open a door toward ethical use of placebos in daily medical practice. But first, researchers need to do bigger, longer trials. Kaptchuk and Lembo hope to get government funding for those studies. Because, after all, there are no big placebo manufacturers out there eager to fund this kind of research.